Tree Trimming Services In My Area | Tree Care Inc. Since 1999, Tree Care Inc. has been committed to delivering the highest level of arboriculture for property owners across the Miami Valley. That means every recommendation we make is backed by proven research. It means we constantly assess emerging trends and best practices in tree care. And it means we invest in the people, equipment, technology, and training to get the job done right. We know the science so you can enjoy the year-round beauty of healthy trees and shrubs. Because for us, it’s not a job—it’s our passion. We service properties of all sizes across Montgomery, Miami, and Clark counties. Please contact us to schedule an assessment for your trees. We are serious about our work, and it shows. Difficult-to-reach limbs? Hazardous trees? We’ve got it covered. Our cranes, spider lift, low-impact articulating loaders, and grapple trucks enable us to efficiently navigate projects of any size and type. All of our staff are trained to the highest level of safety so that we get in, get it done, and get out without harm to your property. We are in the business of arboriculture—not in making guesses. We use proven, science-based methods to ensure your property is healthy and looks great year-round. All of our recommendations are based on expert research and industry best practices. And that’s not just at the top. We hire professionals who are here to stay, and we invest in their careers through ongoing education and certification. 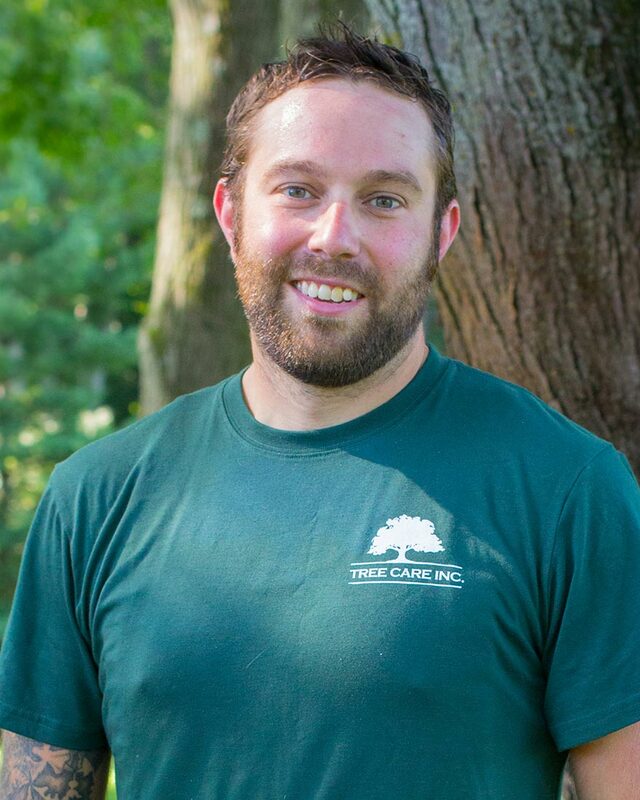 Eric is the founder and president of Tree Care, Inc. A native of Troy, Ohio, Eric has been involved in arboriculture his entire adult career. At his core, he is passionate about the science of tree and plant care. 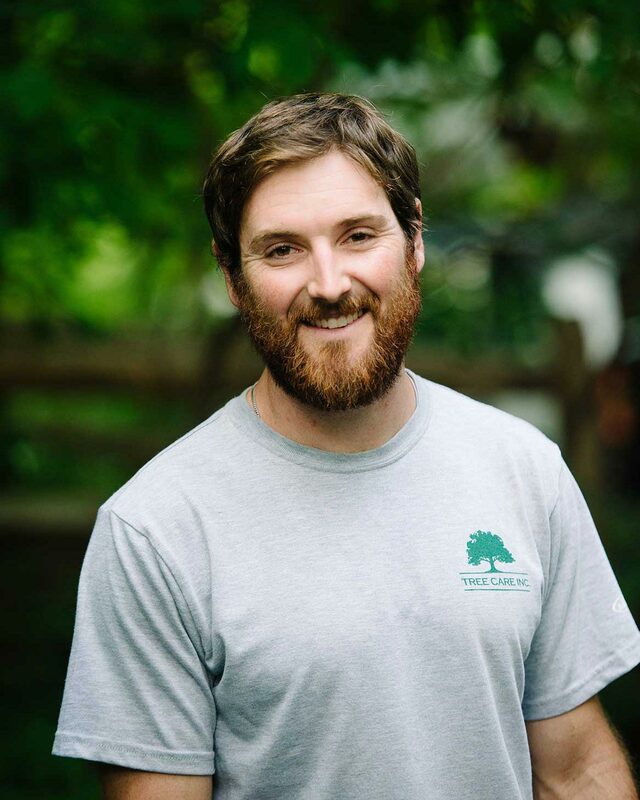 David joined Tree Care, Inc., in 2014. Prior to joining the company, he served for eight years in the United States Marine Corps, rising to the rank of Platoon Sergeant. He also holds the title of ISA Tree Climbing Champion in Illinois. James joined Tree Care, Inc., in 2004. He holds an Associate of Science degree in Wildlife Management from Hocking College. 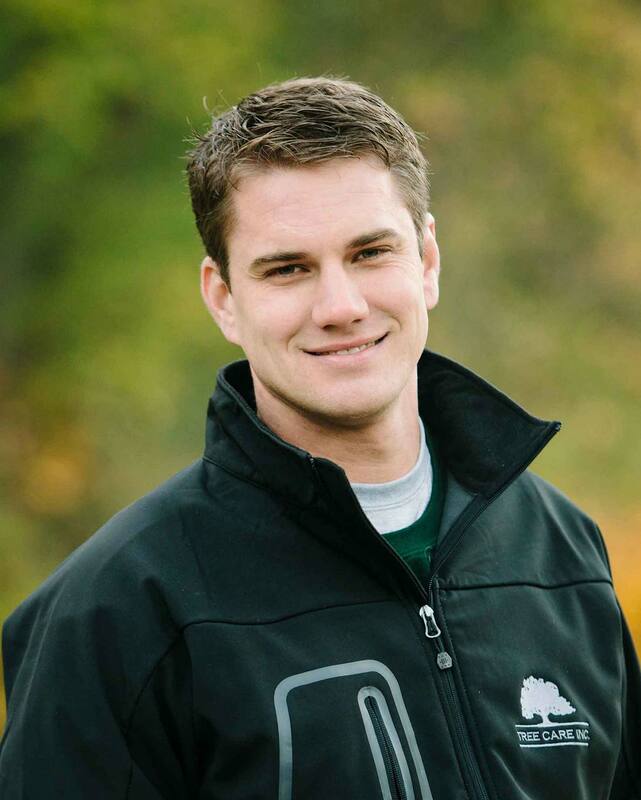 Tyler joined Tree Care, Inc., in 2010. 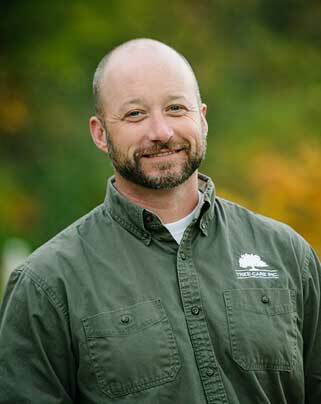 He holds a Bachelor of Science degree in General Agriculture with a minor in Urban Forestry and Arboriculture from Purdue University. 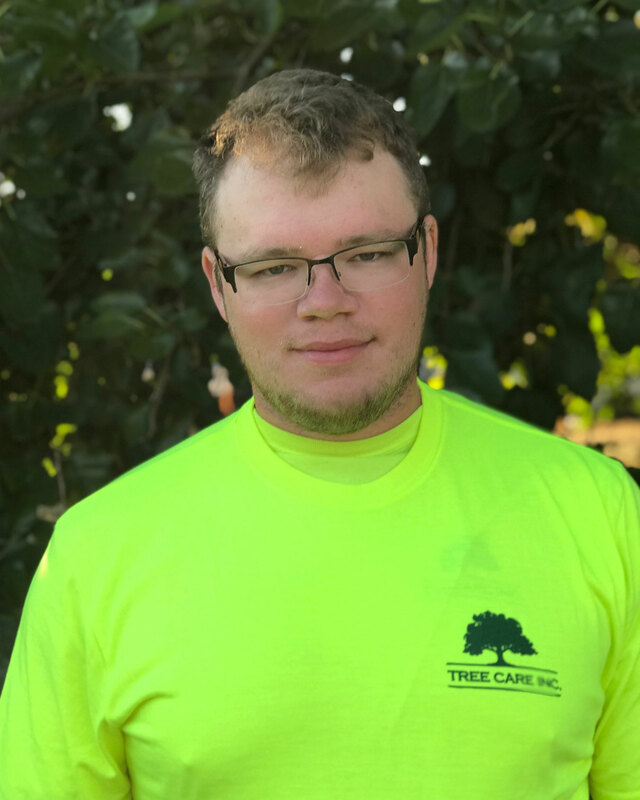 Wesley joined Tree Care, Inc., in 2018. He is a two-time ISA Tree Climbing Champion in Indiana. 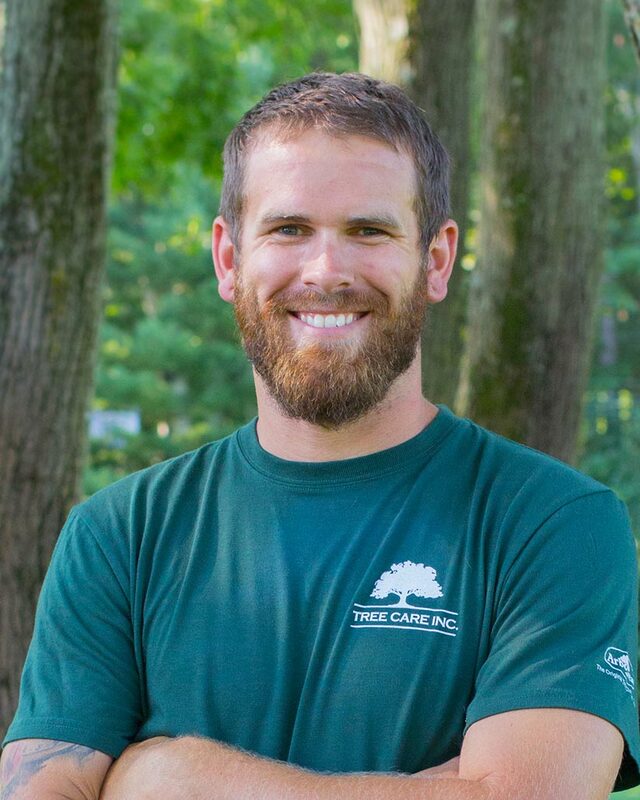 Adrian has been with Tree Care, Inc., since 2015. 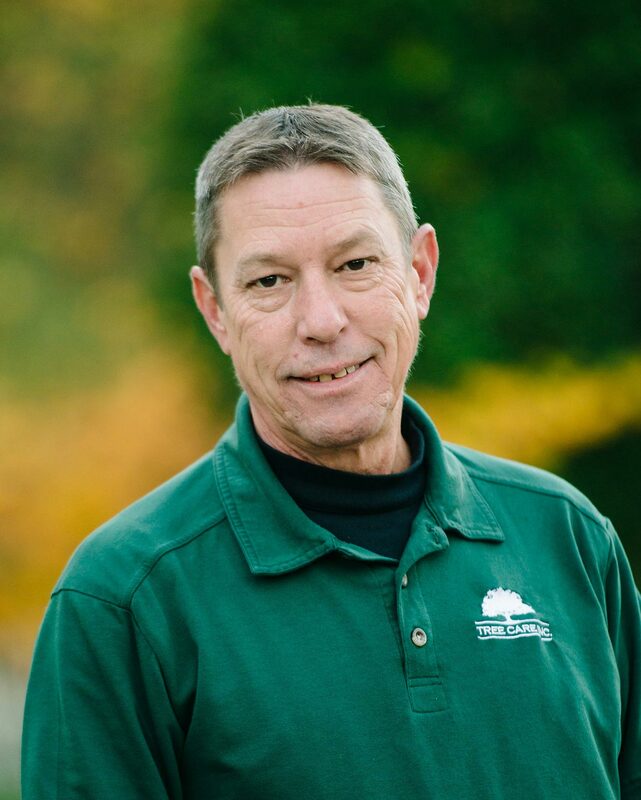 Mark has been a certified arborist with Tree Care, Inc., since 2010. 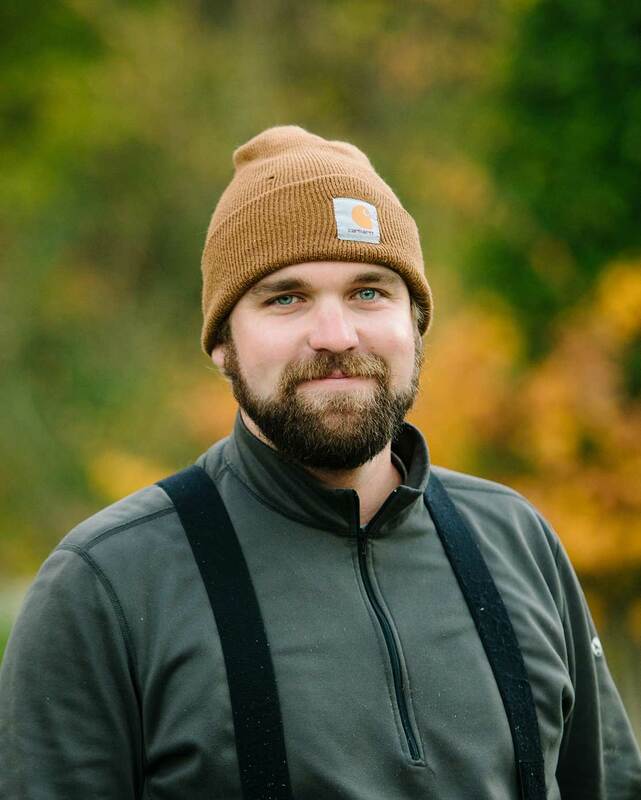 Andrew joined Tree Care, Inc., in 2017.